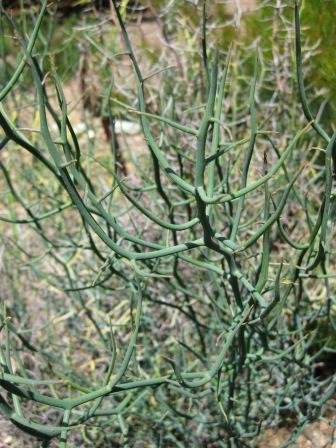 A well-branched ornamental shrub 6-9' x 6' with leaves (phyllodes) reduced to deciduous scales. It has yellow flowers in winter-spring. Prefers full sun or partial shade and well-drained soils. Grows east of Perth, Western Australia. New introduction to California.